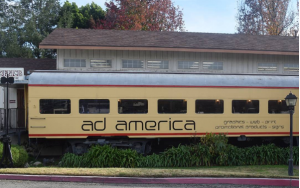 Ad America has just the right mixture of knowledge, expertise, education, creativity, and cultural background. You can be ensured that your project is always in good hands and that you are getting a great return on your investment. We believe that the ultimate customer service lies in a very competitive pricing structure by having the right team members. To fulfill that promise we have assembled an exceptional team of talented graphic professionals, ranging from graphic designers, website designers, copywriters, photographers, programmers, illustrators, translators, project managers and Internet marketing strategists. Using a creative and dependable graphic source can be challenging. My name is Hani Y. Jouni and I would like to thank you for taking the time to consider Ad America for your needs. For those of you who have worked with me in the past, this is just a friendly reminder of our qualifications, for those for you who have not utilized our services, here is a brief summation of our capabilities. Twenty-six years experience in creative graphics in all aspects of Printing, Advertising and Web Design. We ensure that we’re on top of our industry’s latest trends and production capabilities. Combining the utmost in new technology and years of expertise with persistence and commitment, we consistently provide you with the edge in creative services for your customers. When I first started in this business, I had a 20MB Mac+ and thought it was a wondrous machine. Well, that was the mid-80’s! Today, having unlimited resources in our art department, assures you and your customers will have the best possible solution to suit your needs. My experience and commitment guarantees a creative, intelligent and timely product. Providing you and your customers integrity with what they entrust in you: their image.